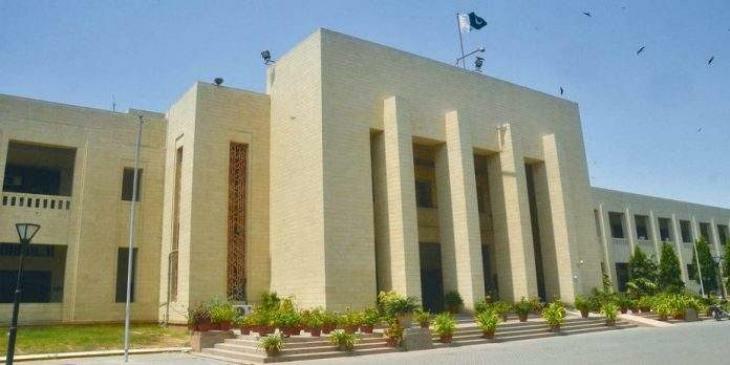 Karachi (UrduPoint / Pakistan Point News / Online - 16th April, 2019) Sindh Assembly has once again changed into a fish market as there was scuffle between treasury and oppositions members in the house .The house was seen as a wrestling ring when two members Arslan Taj and Burhan Chandio had a brawl and thumped each other. The senior members from both sides settled down the conflict by soothing the two.The government and opposition MPAs raised catchphrases of "shame, shame" against each other during the proceedings of the house on Tuesday.The members hailed from PTI began shouting during the speech of Chief Minister Syed Murad Ali Shah. The Speaker Agha Siraj Durrani did not allow PTI's MPA Khurram Sher Zaman to speak on which all the opposition MPAs raised from their seats and chanted slogans against the speaker .The Speaker said to the opposition leader "Come to my house and I will serve you with honey so that your tongue might be soften". the opposition leader replied that the speaker is under pressure on NAB investigation against him. 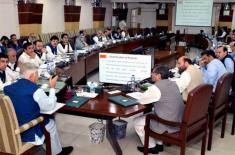 Opposition leader Firdos Shamim Naqvi said that house cannot be run in such a way. Speaker advised him to bring no confidence motion against him.